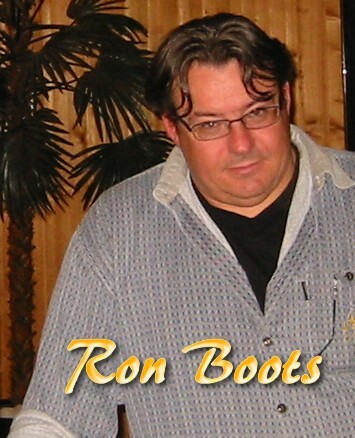 Ron Boots is part of the so-called third generation of electronic musicians. The first generation, in the early 1970's, consisted of the EM pioneers and the second generation emerged at the end of the 1970's/early 1980's which included their descendants. Ron was born on October 13th 1962 in Eindhoven. Nowadays, he still lives and works in the neighborhood of his native town, in the village of Best. In the middle 1970's, Ron was introduced to electronic music through the album 'Timewind' by grandmaster Klaus Schulze. Ron was so overwhelmed by this style music that he decided he wanted to play electronic music himself. In addition to the well-known electronic music names like Schulze, Tangerine Dream, Vangelis, Steve Roach and Patrick Kosmos, Ron was also influenced by other music genres. His favorite bands and artists included Simple Minds, David Sylvian (from the band Japan), Pearl Jam, Marillion and film composers John Williams and Maurice Jarre (the father of Jean Michele). In 1984 he bought his first synthesizer, a monophonic Yamaha CS10. While, his first excursion into music was in 1977 as a singer in a school band - 'That was to get girlfriends', he explained in an interview. Using the CS10 he began to seriously compose and in 1986 Ron gave his first electronic music concert.